360 Third Street is committed to Sustainability! 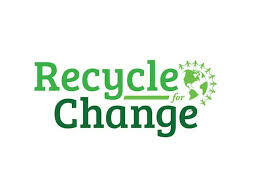 In July of this year we installed a Recycle for Change Donation bin here at 360 Third Street. Recycle for Change is a nonprofit organization that collects recycles used clothing, shoes, and textiles to protect the environment and support sustainable development work across the globe. Your used textiles and shoes enable important programs aimed at mobilizing and supporting communities to take up the fight against poverty and climate change. Promoting sustainability and providing a way for our tenants to help make an environmental, economic and social impact is very important to Kilroy Realty and we encourage you to drop off your donations in our donation bin! You can find the bin located in the vestibule just past the elevator lobby on the first floor. Acceptable items for donation include clothing, shoes, handbags, suitcases, jewelry, toys, bedding, towels, books, CDs, movies, sports equipment, cameras, etc. Click here for a list of acceptable items.